How many exciting design ideas have been put off indefinitely or discarded altogether due to the fear of failure? It’s not only the mental and emotional tolls of failure that hold designers back – it’s the physical tolls that come from wasting materials and being unable to salvage parts to use them again. What if the physical framework for these ideas was simple, reusable and highly compatible? The Grid Beam system, directly brought about by Buckminster Fuller’s Challenge, enables designers to build, disassemble and rebuild to their hearts’ content without worrying about waste or compatibility. The Grid Beam system uses a series of wood and steel beams with evenly spaced hole patterns on all sides. 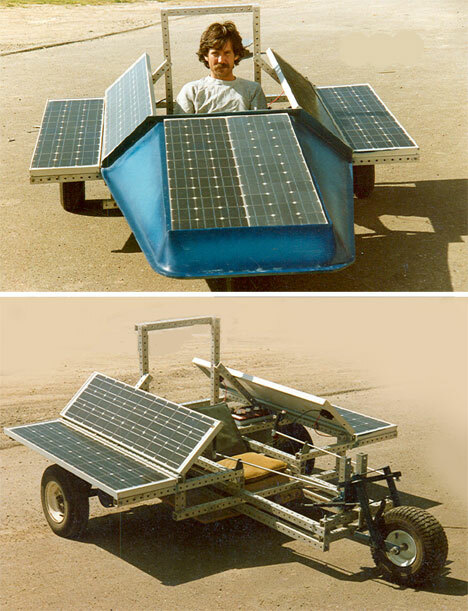 No special connectors or equipment are necessary to start building all sorts of structures, vehicles and other objects. And because no welding or other irreversible modifications are required, the materials can be reused ad infinitum – sort of like real-life Legos for engineers, architects and designers. Items made with the Grid Beam system are easily duplicated by even the most novice builders. 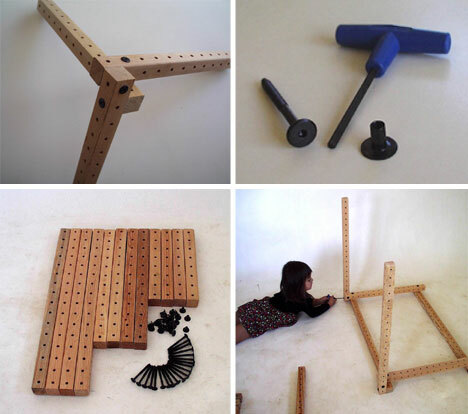 There are no complex joinery techniques or advanced skills required; builders need only to count the hole pattern and assemble their frame with regular nuts and bolts from any hardware store. 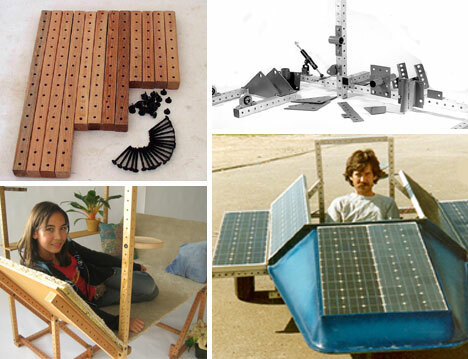 The Grid Beam pieces themselves are just pieces of wood or metal with holes drilled at specific intervals, meaning that almost anyone can create the raw materials for building amazing things right at home. Because everything made with Grid Beam can be disassembled without damage to the components, it is simple to “reprogram” the parts into new shapes. 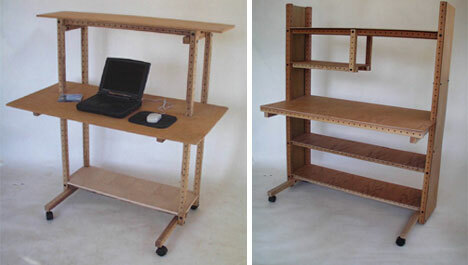 A bunk bed can become a chair, a trailer can become part of a car – the squared frames can take on just about any form. With the addition of some simple motors, gearboxes and axles, more complex structures come to life easily. As times change and gadgets grow obsolete, they can simply be taken apart and rebuilt into whatever is needed in the future. 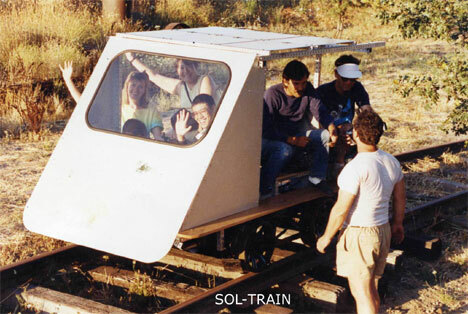 Grid Beam enthusiasts, many of whom have been using the system since its creation in the 1970s, see the system as a low-tech revolution. 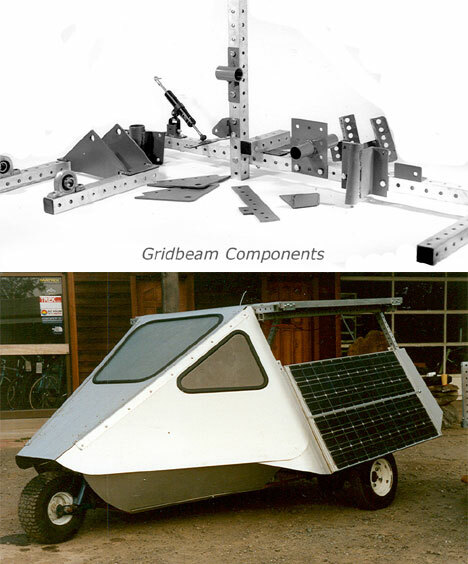 Taking manufacturing out of the hands of big companies and putting it in the hands of the individual (and making it easy for the individual to create whatever they need) makes Grid Beam the perfect system for enacting a quiet movement toward DIY technology. But even more importantly than putting the power in the hands of the individual, the Grid Beam system allows users to learn creative problem solving. Rather than building all of the structures that one will ever possibly need, Grid Beam lets users build the needed objects one at a time with a limited number of materials. One can build a tractor to use in the spring, disassemble it and then reuse the same parts to build a harvester in the autumn. The reusable nature of the Grid Beam system makes it the ideal solution for many problems: saving money, saving space, satisfying a creative need to build, reducing waste and eliminating the need for large manufacturing operations. The enthusiasts who sing the praises of the Grid Beam system wholeheartedly believe that the future of design rests with the individual and with this unique system. With it, they say, we can build a new world.